When it comes to luxury and performance, the Jaguar F-TYPE promises to make all your dreams come true when you get behind the wheel. A perfect blend of power, performance, acceleration and handling, the Jaguar-brand sports car will go toe to toe with segment mainstays like the iconic Porsche 911. Take a closer look at the Jaguar F-TYPE in a 2017 Jaguar F-TYPE vs 2017 Porsche 911 comparison. Are you looking for a stylish, performance-tuned sports car that will provide limitless thrills for two passengers? Look no further than the 2017 Jaguar F-TYPE. Available in five trim levels that include - an entry-level base trim, Premium, F-TYPE S, F-TYPE R and F-TYPE SVR - the Jaguar F-TYPE can be tailored to fit your specifications. 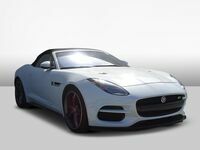 The Jaguar F-TYPE is available in coupe and convertible configurations. 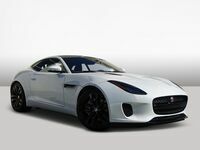 Standard features of the Jaguar F-TYPE include 18-inch wheels, automatic Xenon headlights, LED running lights, an auto-deployed rear spoiler, a sport-tuned suspension, leather interior, a Jaguar InControl Apps eight-inch touchscreen and a 12-speaker Meridian audio system. What Are the Differences Between the Jaguar F-TYPE and the Porsche 911? Affordable performance is a highlight of the Jaguar F-TYPE in this 2017 Jaguar F-TYPE vs 2017 Porsche 911 comparison. 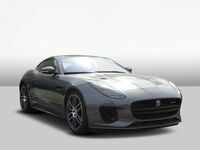 With a budget-friendly base MSRP that stands at $61,400, the entry-level Jaguar F-TYPE will provide similar performance specs to its Porsche 911 competitor at a significantly lower price point. An upgrade to the top-of-the-line Jaguar F-TYPE SVR puts the price at $125,950 with next-level performance and a price that still undercuts elite Porsche 911 models. At the heart of the 2017 Jaguar F-TYPE design you will find a 340-horsepower 3.0-liter supercharged V-6 engine that is paired with a six-speed manual transmission. Upgrade to an eight-speed automatic transmission and amp up performance. 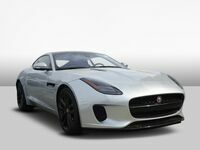 Stock rear-wheel drive Jaguar F-TYPE editions will reach a top speed of 161 mph and will vault from zero to 60 mph in just 5.5 seconds. When you opt for the Jaguar F-TYPE S, you will benefit from an upgrade to 380 horsepower that results in a zero-to-60 mph time of 4.8 seconds. All Jaguar F-TYPE trim levels are available with all-wheel drive that will amp up performance, handling and acceleration. Do you still want more power? 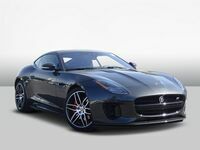 The Jaguar F-TYPE R fits the bill with a 5.0-liter supercharged V-8 engine that manufactures 550 horsepower. Married to an eight-speed automatic gearbox and all-wheel drive, the F-TYPE R will reach a top speed of 183 mph and will sprint from zero to 60 mph in 3.9 seconds. An all-new Jaguar F-TYPE SVR takes performance to the next level with a 575-horsepower 5.0-liter supercharged V-8 that will reach 60 mph in just 3.5 seconds with a top speed that stands at 200 mph. Experience the 2017 Jaguar F-TYPE firsthand when you visit Barrett Jaguar today in San Antonio!